Awash in the familiar blues and greys of Polish cinema, Agnieszka Smoczynska’s Fugue follows up her lyrical fantasy The Lure (2015), with no less attention to the complexities of feminine identity. When Alicja (Gabriela Muskala) seemingly returns from the bowels of the earth with no recollection of her past, it’s up to her family to nurture her back to remembering the woman she once was and recollecting what happened. But what if the past doesn’t want to be remembered? 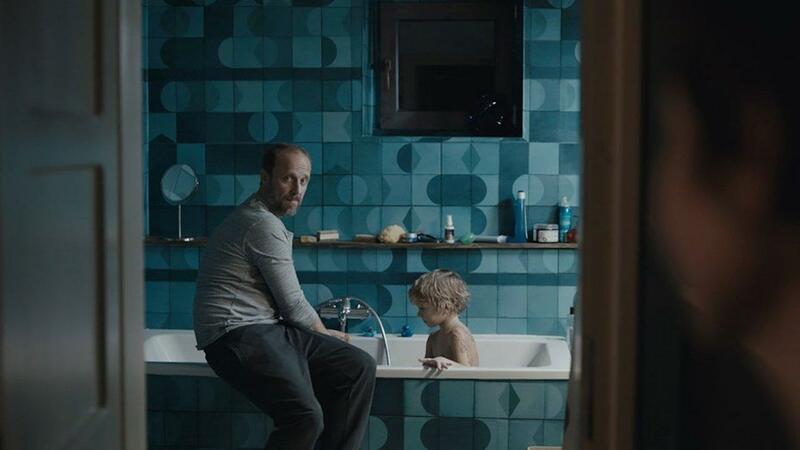 Smoczynska’s slow burn drama examines the nature of guilt, identity, and the role of motherhood. Gabriela Muskala, both star and writer of the film, effectively portrays a woman who exists in two worlds with her detached coolness. She understands and depicts the necessary selfishness that is part of recovering from trauma. What some may consider a personal disaster, Alicja uses as a painful tool to rebuild a life that she can find meaning in. She takes an unthinkable situation and learns a new way to survive and communicate with the world around her. The most important conversations in Fugue are the ones that happen in the looks and silences between characters. Alicja’s husband, Krzysztof (played by Lukasz Simlat) waits in quiet desperation for her to return to a version of a wife she never really was, lost in his own guilt. The addition of a potential romantic interest and mother figure for her son brings even more uncomfortable silences and boundary pushing. Smoczynska uses sound wonderfully, amplifying natural bodily noises and using dream sequences deep in the earth to add to the discomfort and underlying eeriness. Despite the atmospheric, bleak world Alicja exists in, there are no twists or dark secrets to be found. As a whole, the film is as unsurprising and at times mundane as life itself. Perhaps that was the point, that some things can’t be fixed, and some pasts aren’t worth remembering. Author Bio: Becky is a freelance writer living in Vancouver, Canada. She has contributed to film writing for Bright Wall/Dark Room, Bloody Disgusting, and Audiences Everywhere. When she’s not cooking, she’s devouring horror movies or napping competitively.